You should use the social media as a tool in order to gain the attention and the interest from the crowd, who are the people who will fund your idea or project. The crowd doesn't have any or don't seek any capital interest by funding your project. They simply do it for various other reasons. Like, they find a certain idea very cool and they want to participate so that idea be realized. Moreover, the project instigator can make some incentives like making it possible the crowd to be the first consumers of the product or sending them a Thank you note for participating so the idea can be realized. Why you need capital in order to start an idea? It's simple. In order to do anything of value you need skill, computers, or even other skillful people to help you. This things are resource intensive. 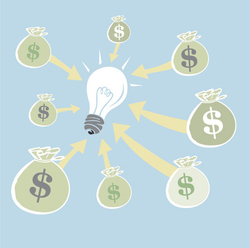 You need help to raise early capital for your idea. The good thing about this is you don't need to to give dividends or share your capital with the crowd or donators. Evaluating your idea whether you should do it, then you should build the actual structure. The next step would be telling your story through social network. You describe your project/idea and you put the incentives for the crowd. If the crowd like your idea and support it then you should communicate with the crowd. After, the crowd support you with the capital the next step would be running your project and in the end fulfilling. 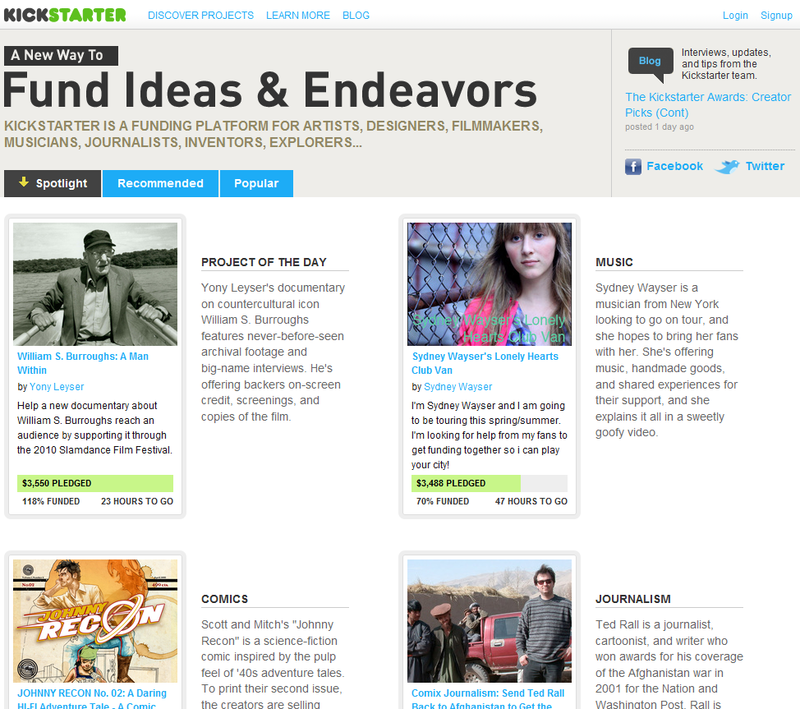 Now, let's start with one of the most innovative website in the market "Kickstarter". Kickstarter is a new innovative e-commerce company which helps creative projects come in life and be realized through the mutual cooperation between project creators and backers. Projects could be of any nature: movie, book, technology etc etc, and the backing or funding depends from the crowd's interests or passion. In turn project backers are given some kind of reward like thank notes, t-shirt or a product itself. Kickstarter is an e-commerce website where people from UK and USA can post and deeply present an innovative idea or project. The creators of the project create the minimum funding goal as well as the deadline. If the funds don't meet the expected minimum funding goal then they are not collected. Kickstarter takes 5% from collected funds, Amazon charges additional 3 to 5% due to money collection being made via Amazon Payments. The company or more specifically the website is the place where project creators post their creative ideas and the backers fund the project. By this way many aspiring people can be helped in such a way to get their ideas come true, while the backers which amount of their funding ranging minimum 1 dollar to how much they will to pay get in turn get some rewards from project creators.